Clay Helton is on the hot seat at USC and four teams in the Pac-12 South could wind up with identical records at the top of the standings at the end of the season. The conference’s southern side enters the final two weeks in a jumble. Here are the possible scenarios at the moment: Utah (7-3, 5-3 Pac-12) can capture the division’s berth in the conference championship game with a win Saturday in the rivalry game against Colorado in Boulder. 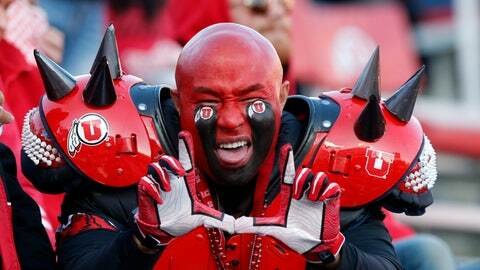 But the Utes will need Arizona State to lose one of its last two games. The Utes finish the season with a nonconference game against BYU. The Sun Devils (6-4, 4-3) have the most direct route to the title game, needing only to win both of their final games, at Oregon this Saturday and on the road against rival Arizona over the Thanksgiving holiday. And Arizona (5-5, 4-3) can still pull off an upset by winning its final two games, at Washington State on Saturday and in the rivalry game, but the Wildcats will also need Utah to lose to the Buffaloes. That Utah-Colorado game will happen early Saturday, so the Wildcats will know by the time they take the field against the No. 8 Cougars that night if they still have a shot. Mind-numbingly, it is possible for four teams to finish at 5-4 atop the conference. However, if that happens, and Arizona State has won the Territorial Cup, the Sun Devils have the tiebreaker. If ASU falls to Arizona, it goes to Utah. HOTSEAT HELTON: USC eliminated itself from the conference championship conversation with last Saturday’s 15-14 loss to California at the Coliseum. The Trojans (5-5, 4-4) have lost two straight at home after a 19-game winning streak there. To say it has been a disappointing season for the Trojans is an understatement. The team was picked to finish first in the South in the Pac-12’s preseason poll. While the most recent loss gave rise to speculation that Helton would be fired following the season, the coach said he has faith in his team and its future. USC’s remaining games are against UCLA at the Rose Bowl on Saturday, and at home against Notre Dame on Nov. 24. RIVALRIES: It used to be that nearly all the teams had rivalry games on the final weekend of the regular season. This season, there are three rivalry games this weekend, including the Big Game between Cal and Stanford, the battle for the Victory Bell between USC and UCLA, and the Rumble in the Rockies between Utah and Colorado. OH, AND ABOUT THE NORTH: It’s not settled either. But all signs point to the Apple Cup. Both the Cougars and the Huskies control their own destinies, meaning that whichever team wins out will get the championship game berth. Washington State (9-1, 6-1) hosts Arizona on Saturday, while Washington (7-3, 5-2) hosts Oregon State. Both seemingly winnable games. The Apple Cup is set for Black Friday in Pullman.